FREE Sunday Arts & Crafts: Collage Art // September 30th! 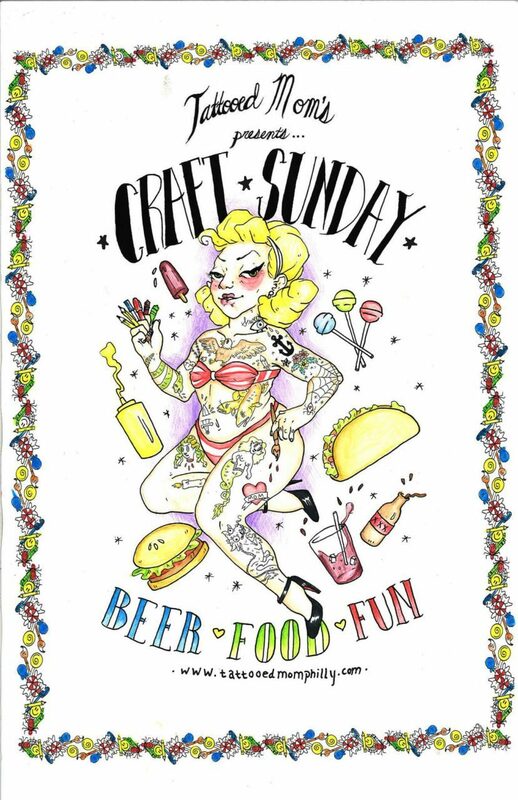 Cut, paste, & craft your way through September with FREE Sunday Arts & Crafts: Collage Art at Tattooed Mom! Enjoy stacks & stacks of vintage magazines, cool backgrounds, stickers, and all the regular goodies of our crazy craft table EVERY Sunday in September! We’ll being hanging the best collages in our DIY arts & crafts gallery. & let the corn craft continue into the night with $2 PBR pounders & 1/2 price tater tots after 7pm. Mix and match your creative spirit every Sunday, only at TMOMs! Leave a Comment on FREE Sunday Arts & Crafts: Collage Art // September 30th! FREE Sunday Arts & Crafts: Collage Art // September 23rd! Leave a Comment on FREE Sunday Arts & Crafts: Collage Art // September 23rd! FREE Sunday Arts & Crafts: Collage Art // September 16th! Leave a Comment on FREE Sunday Arts & Crafts: Collage Art // September 16th! FREE Sunday Arts & Crafts: Collage Art // September 9th! Leave a Comment on FREE Sunday Arts & Crafts: Collage Art // September 9th! FREE Sunday Arts & Crafts: Collage Art // September 2nd! 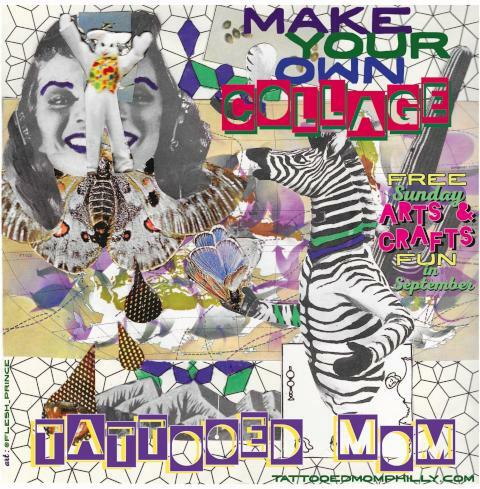 Cut, paste, & craft your way into September with FREE Sunday Arts & Crafts: Collage Art at Tattooed Mom! Leave a Comment on FREE Sunday Arts & Crafts: Collage Art // September 2nd!